I have been in an argument when I said, “What will it take for you to believe what I’m saying?” When you are trying to convince someone about anything, there has to be a turning point that will sway his or her opinion. Once that point is reached, action can take place. That was the case with Simon Peter. He was ready to listen to what Jesus had to say. 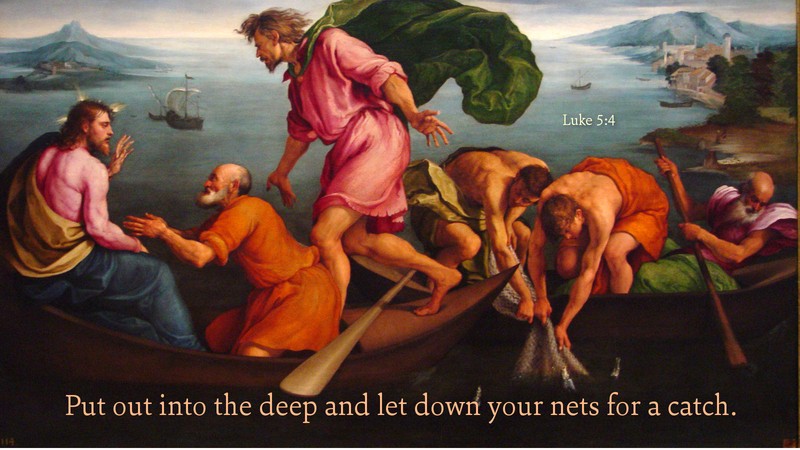 He even allowed Jesus to use his boat to speak to the crowds gathered by the shore. Yet, Peter himself was not convinced that Jesus’ message was for him. He was wrapped up in his life as a fisherman. When a long night on Lake Gennesaret yielded no fish, Peter was consumed with his disappointment. He had to make a living to support his family. Jesus could see what was blocking Peter’s heart. He caused the great catch of fish to move Peter beyond self-pity. What will it take to convince you that Jesus cares for you? What will it take for you to believe that Jesus wants only his best for you? These are questions we all should ask ourselves. Prayer: Lord, confirm your love in my heart. Amen.